Back in the day I blogged all the time: Wrote about life and running and real estate in Austin, TX. Cathartic and expressive my blog was well-read and was good for me…it chronicled and soothed as a thought-vent for me. I was named one of Relocation.com’s Top Three Blogs in the USA and also recognized by the Texas Real Estate Center as a Top Five Blog. People read my blog, seemed to enjoy it, and it was good for my head…so it’s only natural that I stopped writing for an extended period, right? Strange but true. I’m Scott Nicholson. Stay tuned and I’ll write some stuff on this blog that might accidentally be cool to read, or at least I’ll give it a try. I’ll write about my life and things I notice..and I’ll try and learn from those things. There’ll be a bunch of stuff about running because I like to run..and I try and learn from that too. I’ll also try and write a bit about real estate and business…while I try and learn from (and about) these too. Hang on, there’s more to come! 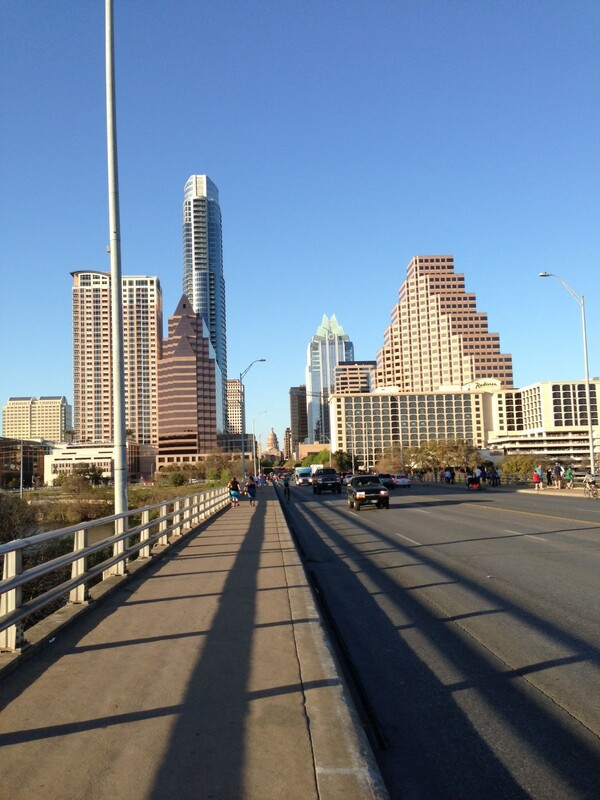 In the meantime here’s downtown ATX as seen from the Congress Avenue Bridge, looking North, on the Saturday of #SXSW2013.